Should Jonathan Pollard be freed? 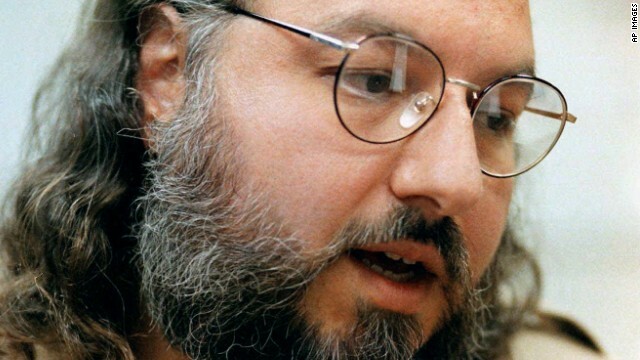 Jonathan Pollard, the former U.S. intelligence agent who was convicted of spying for Israel, could be released before the Jewish holiday of Passover as part of efforts to save Israeli-Palestinian peace negotiations, an Israeli official involved in the talks told CNN. Suggestions for deals for Pollard's release have been floated over the years but have not materialized. Passover starts on April 14. Talk of Pollard's possible release came as Secretary of State John Kerry traveled to Israel on Monday to try to mediate a dispute between Israel and the Palestinians over the release of Palestinian prisoners. Kerry was in Belgium on Tuesday but will go back to Israel on Wednesday and also visit Ramallah, West Bank, State Department spokeswoman Jen Psaki said. White House spokesman Jay Carney said Tuesday that President Barack Obama hasn't decided whether to release Pollard at Israel's request. "The Israelis frequently raise this issue, and they have raised this issue in our discussions," Carney said. "Beyond that, I'm not going to get ahead of the work that Secretary Kerry is doing and the conversations that he's having." We want you to weigh in on today's Fireback question: Do you think Jonathan Pollard should be freed? YES! only person in US history to get life sentence for spying for an ally. Currently the max sentence is 10 years, he's served nearly 30! @Crossfire He compromised our national security and betrayed the uniform and the nation us sword to protect. NO !